Home Digital Copy Help the survivors of Super Typhoon Yolanda / Haiyan. Help the survivors of Super Typhoon Yolanda / Haiyan. The survivors of the Super Typhoon Yolanda / Haiyan are still in need of help. The super typhoon took their families lives and destroyed their homes. 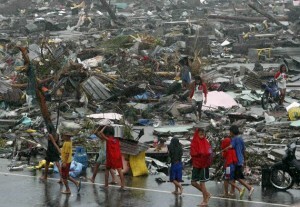 The survivors still need food, clothes and shelter. You can also an email to donations@leytesamardailynews.com for donations inquiries.